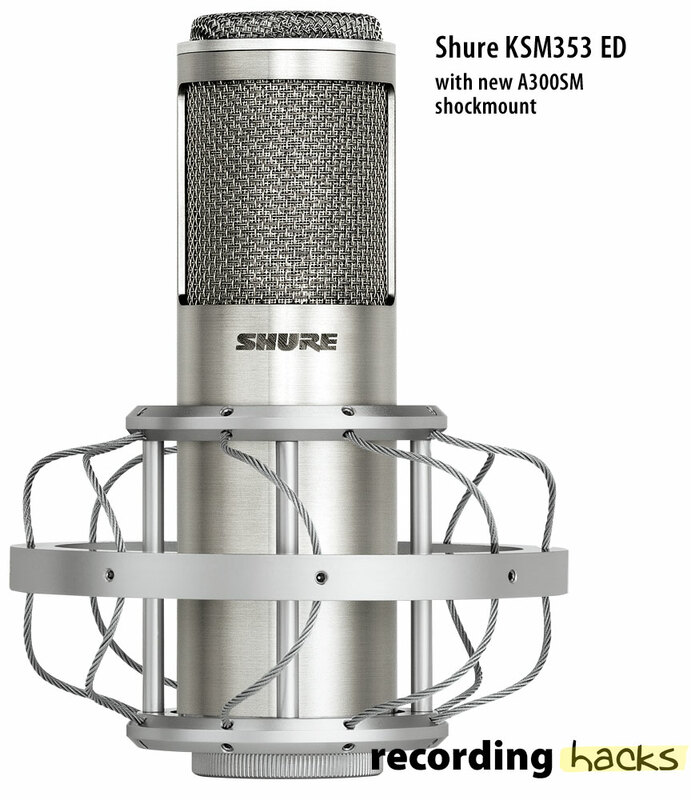 The Shure KSM353/ED is a very slightly revised version of the KSM353, itself a rebadged Crowley and Tripp El Diablo. All three microphones are acoustically identical; the difference in the “ED” version (released 2011) is solely in the physical construction of the housing at the bottom of the microphone. Whereas the bottom of the KSM353 was flat, with the XLR3M jack inset into the microphone body, the KSM353/ED has a threaded post that extends beyond the cylindrical mic body, enabling it to be mounted to the company’s ShureLock™ mounts. The KSM353/ED includes the company’s innovative new shockmount, the A300SM, which uses wire rope where one would normally see elastic bands. This mount represents a significant upgrade to the elastic shockmount bundled with the El Diablo and the original KSM353, in that the microphone screws into the mount, rather than being held in place by compression of a felt-lined metal ring. Once in the mount, the mic can be tipped forward or back, rotated, or inverted, without causing the wire rope to sag or deform. 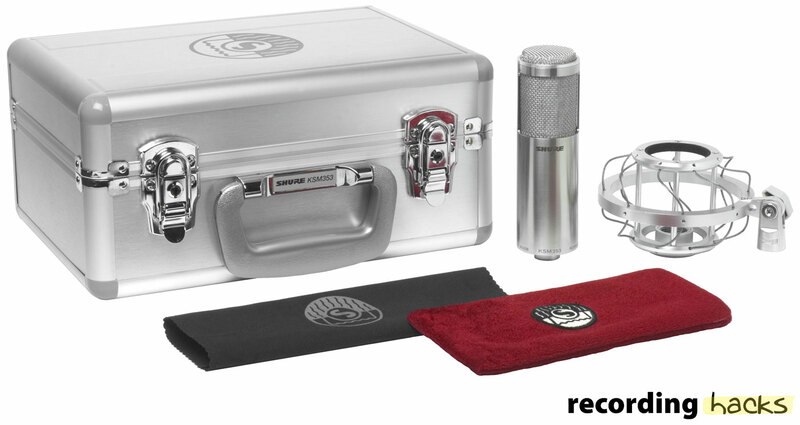 The repackaged KSM353/ED replaces the wooden box of the original mic with a lockable, foam-lined metal flight case (Shure p/n A353SC). 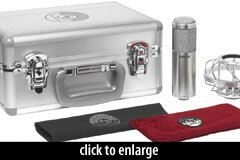 It also includes a lint-free storage pouch (p/n A353VB) and a polishing cloth (p/n A300PC). 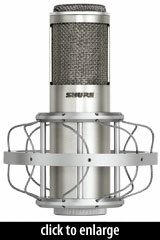 For more information about the microphone, including reviews, see the original KSM353 profile.